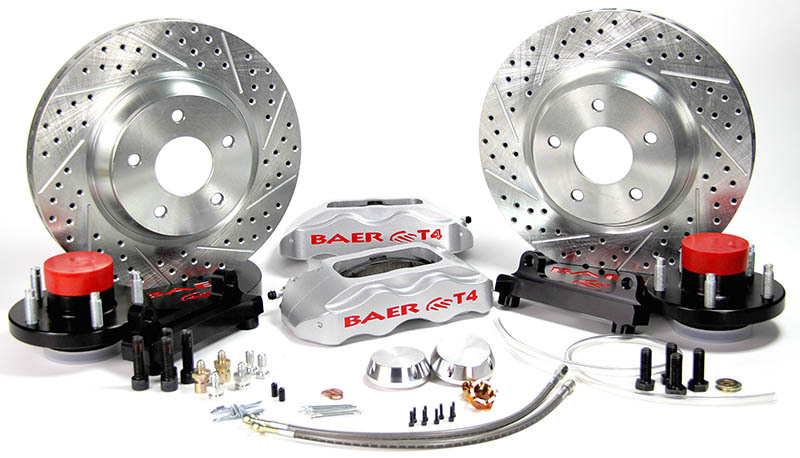 NOTHING COMPARES TO BAER QUALITY! 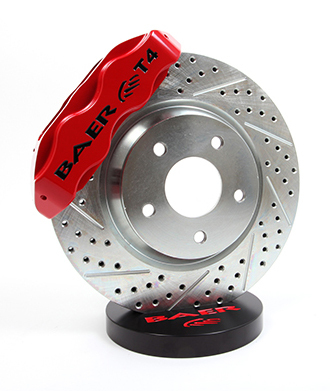 This system features the T4 4-piston caliper mounted to a 13" 1 piece slot, drill, zinc plated rotor. 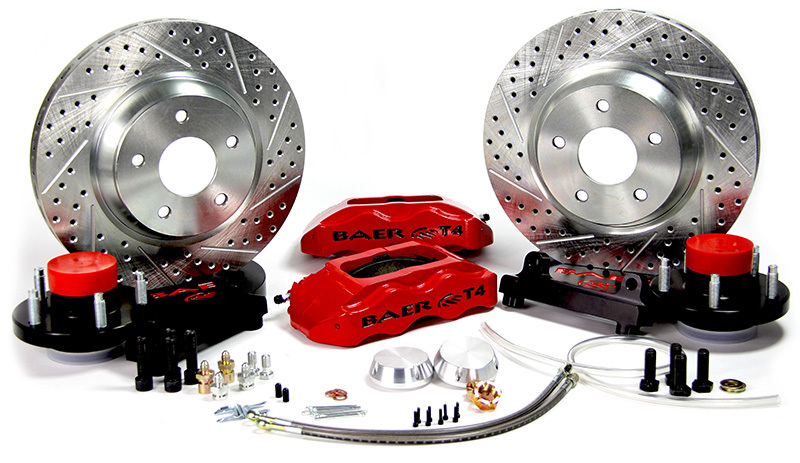 Baer systems include stainless steel brake hoses as well as calipers that have D.O.T compliant dust and weather seals. Machined hubs will come pre-assembled with Timken or SKF bearings, studs and packed with Redline Synthetic grease. See below for further detailed information. 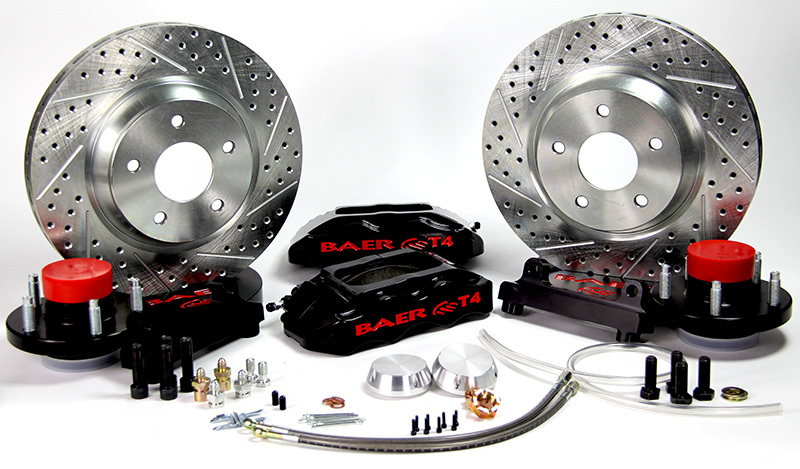 Baer's most popular system, designed for 17" and larger wheels. Systems that inlcude hubs will have a set of 6061-T6 billet machined hubs with Timken or SKF bearings installed. Hubs are pre-assembled with bearings, races, studs and packed with Redline synthetic grease. In some cases where this will not bolt directly to the factory spindles Baer will supply modified spindles (and the brake will come complete pre-assembled on the spindles ready to hang).